You can now go cashless while giving out real angpows during the upcoming Chinese New Year holiday season. DBS has come up with red packets that come with unique QR codes to let you specify how much money to give in each red packet, without worrying about stuffing in the right amounts of cash. When you hand that angpow to your favourite niece, she gets the nice little surprise that you had intended. For other relatives, you can specify less, of course. 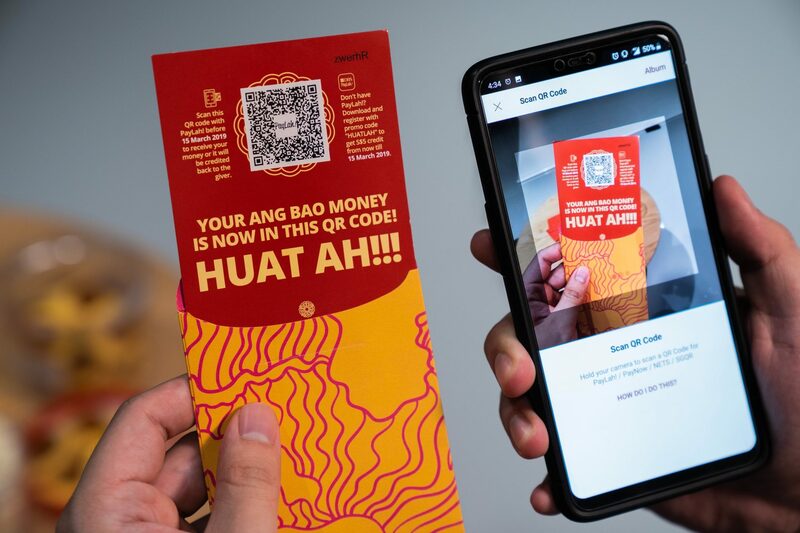 The angpows are part of a pilot trial announced yesterday, called DBS QR Ang Bao, that offers a twist to the digital transfers that many users are increasingly using today. 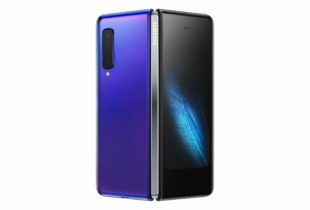 So, instead of sending money digitally using their phones, users still hand out a physical angpow, a traditional act of giving during the festivities. The technology is tied to DBS’ PayLah! mobile wallet so both the sender and receiver need to have the app on their phones. They don’t need a DBS bank account as PayLah! can be linked to other local bank accounts. To get started, users have to collect the physical angpows from several DBS and POSB outlets. There are 300,000 packs with eight angpows in each of them to be given out, there’s so no need to rush. With the PayLah! app on your phone, you scan the QR Code on each angpow and assign a value, as much as S$999, to it. This way, you can assign packs with different amounts to different family members and friends, much like how you do now with cash. 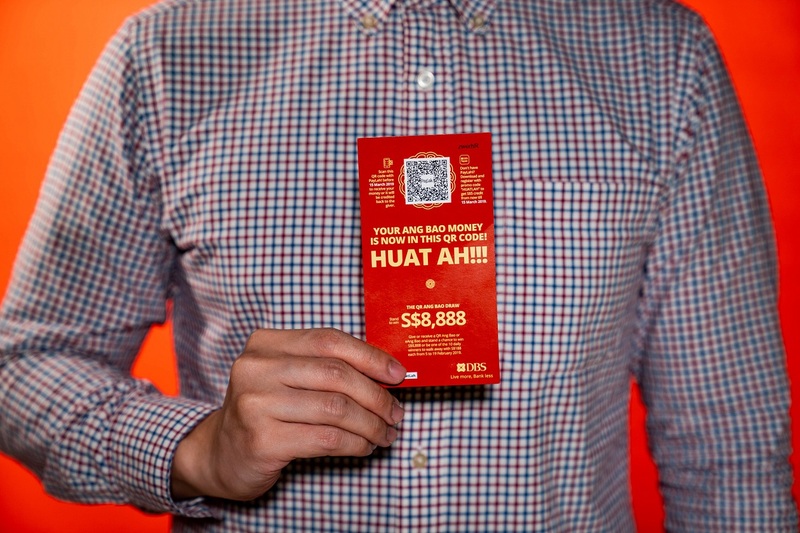 At gatherings, simply hand this angpow out but remember to tell the recipient to use his PayLah! account to scan the QR code and have the amount transferred to his bank account. You don’t want him to have an empty red packet! So, why not just give cash? That seems easier until you remember the usual rush to change new dollar notes during the season. Plus, cashless payment is accepted in many places today. Yes, this seems gimmicky, but what better time to try out something new than during a period when people are generally less stressed out and not rushing to pay for something? Let us know what you think of the cashless technology if you are trying it out this Chinese New Year! angpow cashless DBS digital banking fintech PayLah!